Architect Anda French has found a way to tap public mobile device fixation and direct it toward imaginative exploration of the built environment. In her Spatial ConTXTs projects, French uses text messaging to drive city-wide interactive installations. For Sibylline TXT, named after an oracle in Virgil’s Aeneid, French dispersed an original fictional story across 26 art and cultural sites over a span of 30 days. 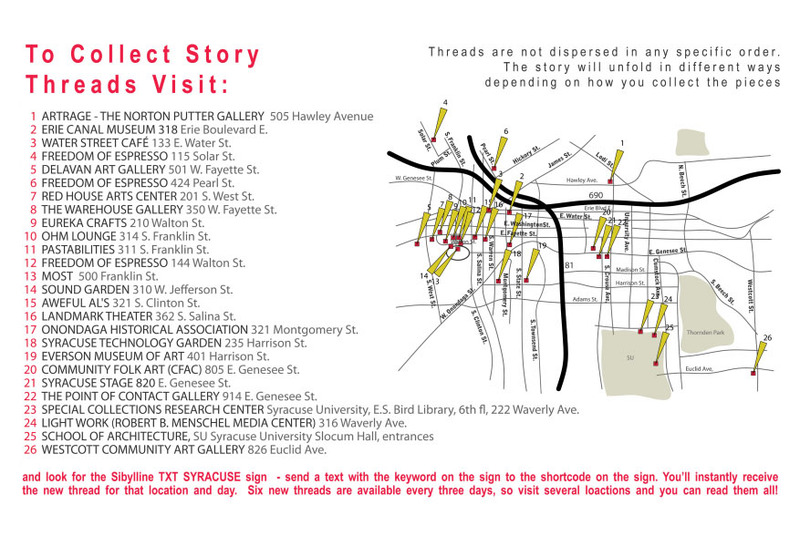 Participants were encouraged to rove the city of Syracuse, and on reaching each destination, would receive parts of the narrative via text message. 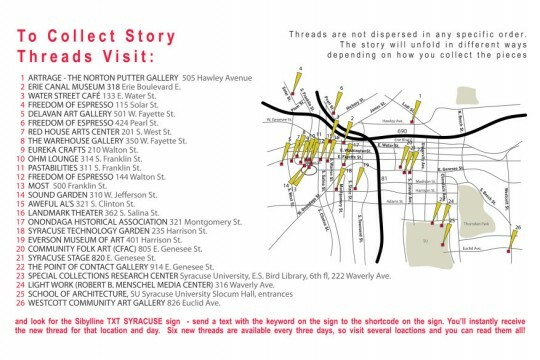 French adapted a similar structure for SyrAsks, a project with Syracuse University and middle school students, in which the city texted responses to student questions at specific sites, fostering new forms of public dialogue.